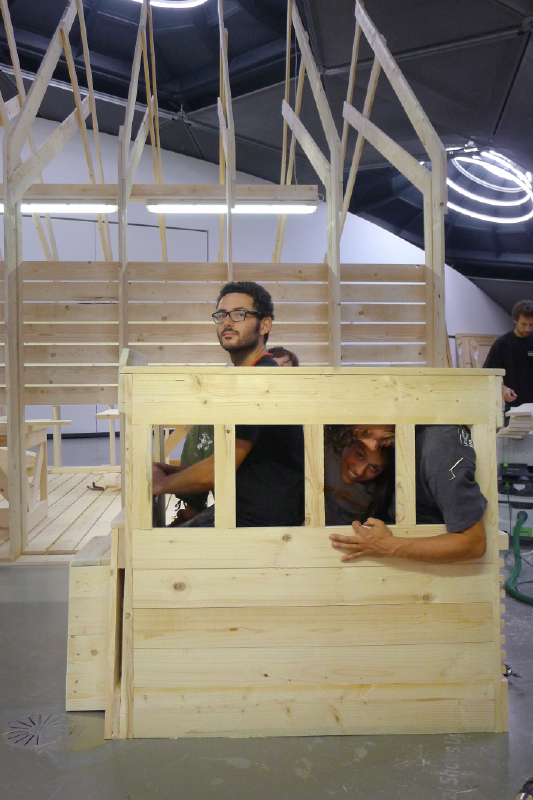 The project is part of the realization of the Città dell'Arte exhibition scenography at Kunsthaus, Graz, Austria. 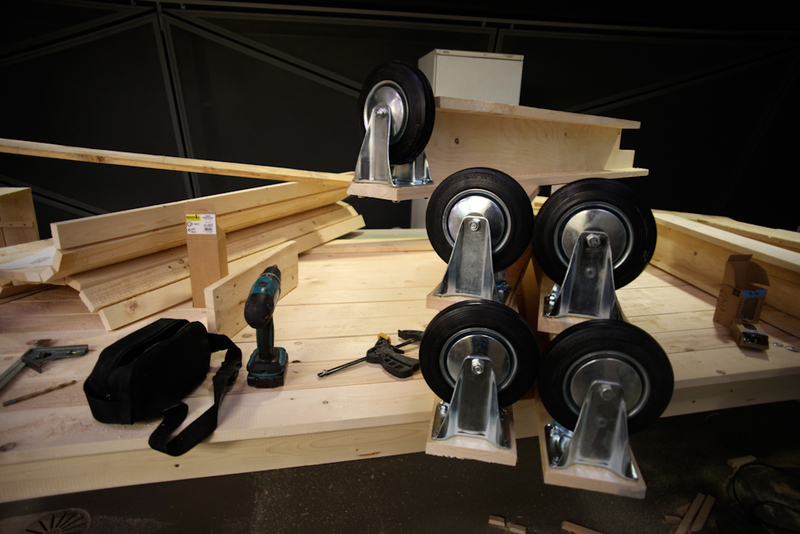 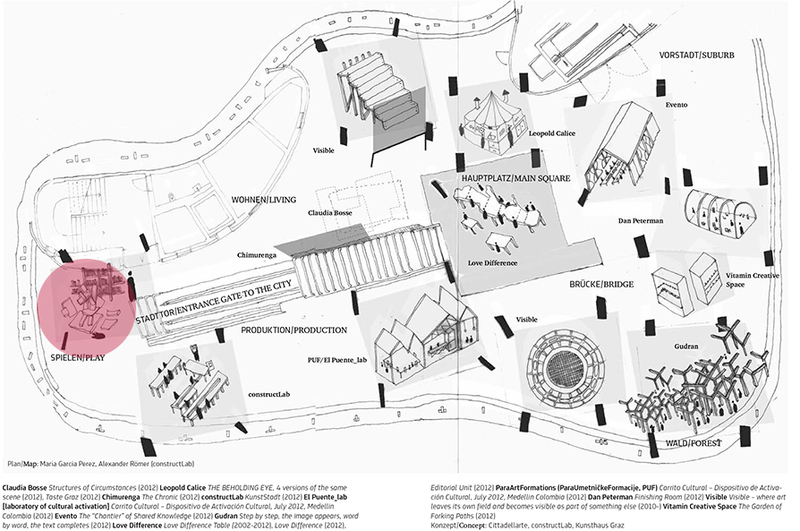 The construction of a carousel for the young public of the exhibition and a series of tables and benches. 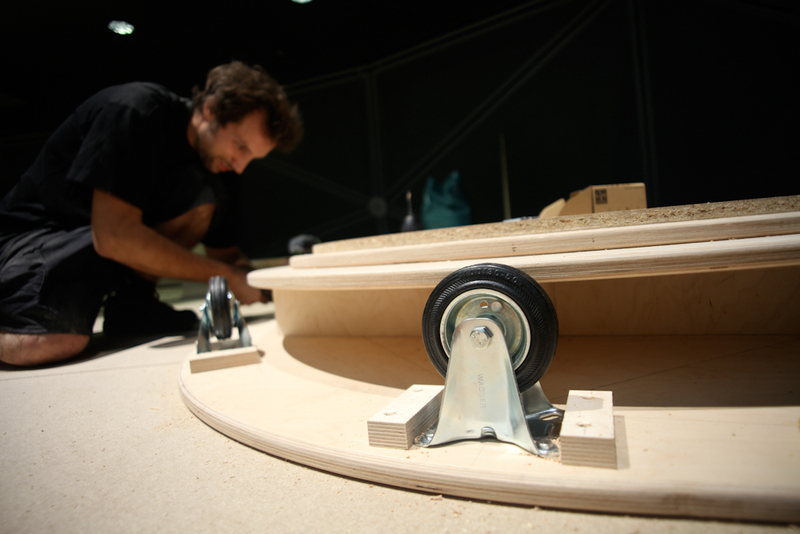 The construction and design of the carousel is the result of a collective idea that previously had not found a place. 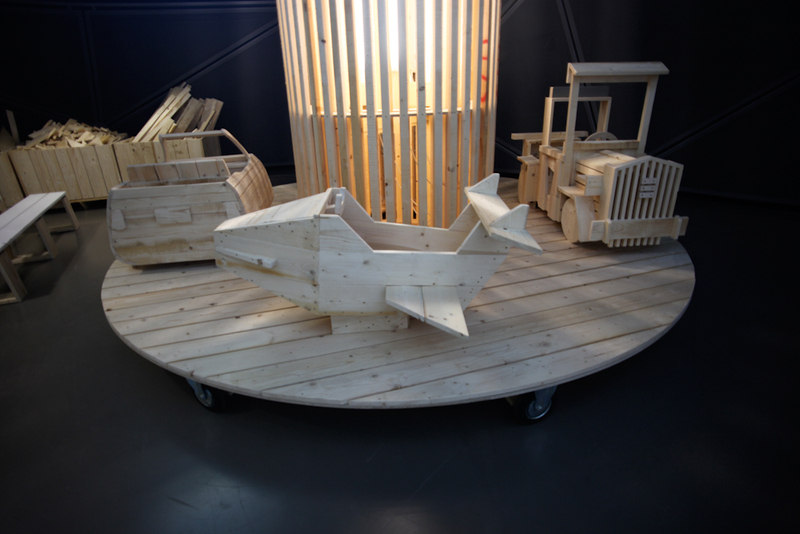 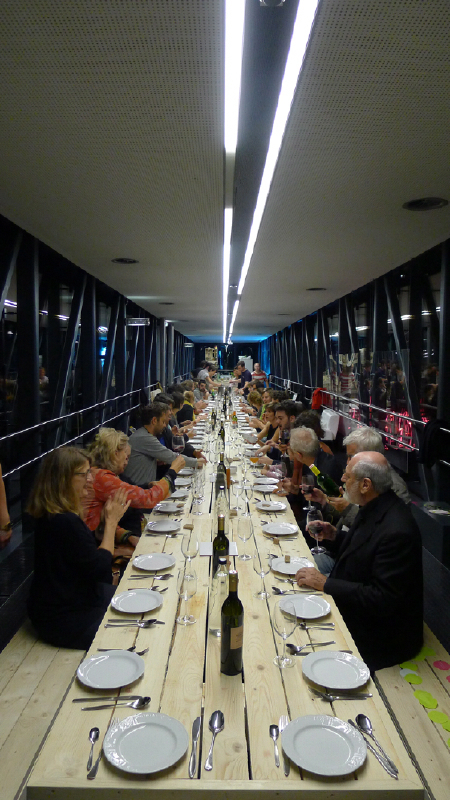 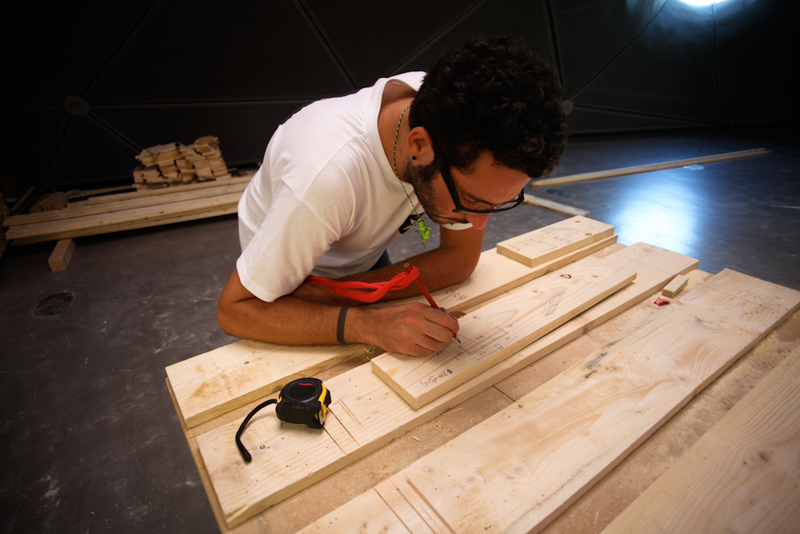 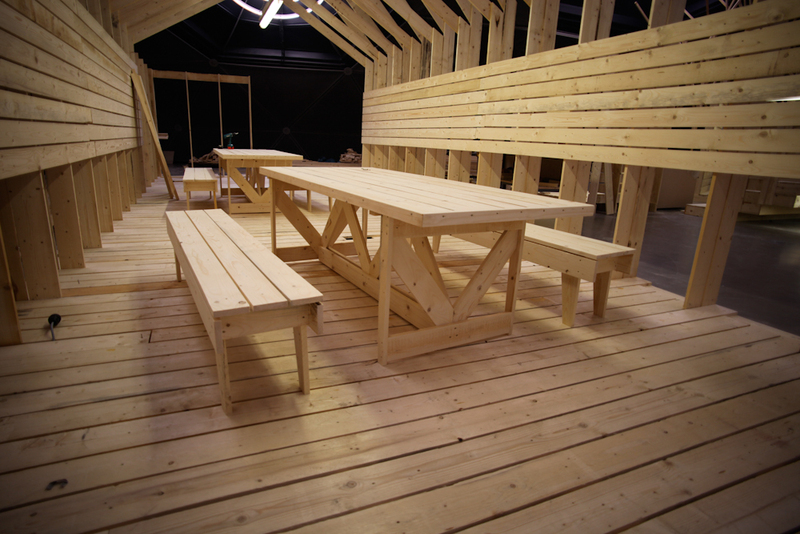 The series of tables and benches are a project that is in continuity with the great one piece table of 23,4 meters built in Bordeaux at Evento 2011. 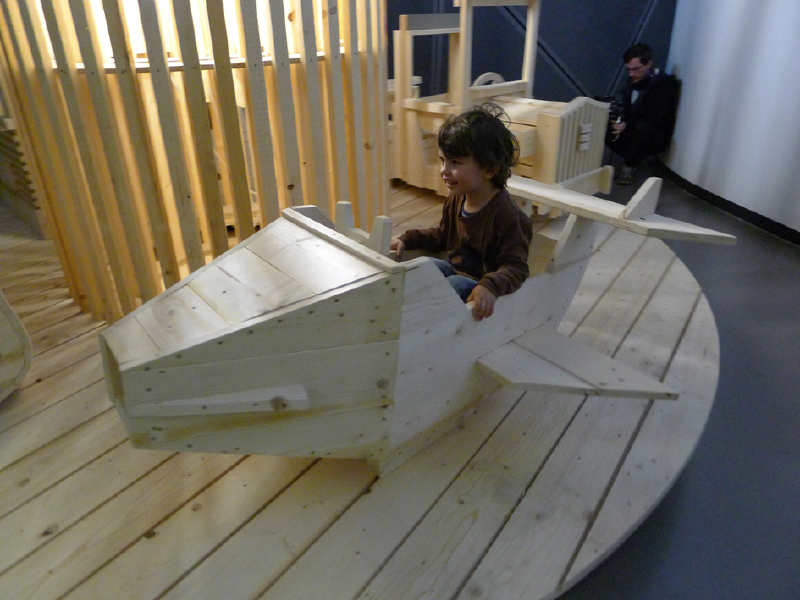 Sharing Transformation Exhibition in Kunsthaus Graz, Space01, Graz, Austria.